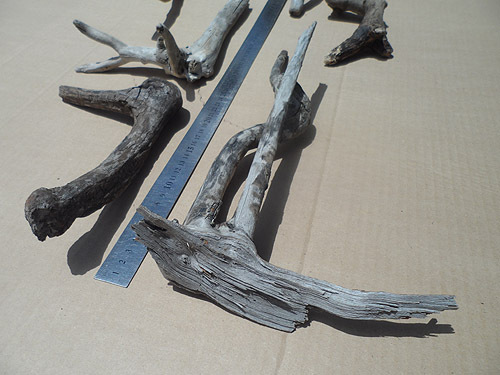 Driftwood for sale – DRIFTWOOD LOT NUMBER 150119C – R165. 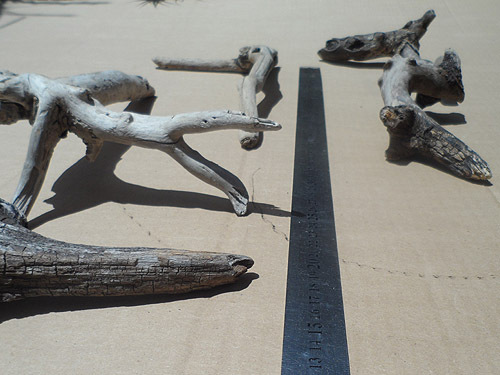 6 Driftwood pieces for sale for R165. 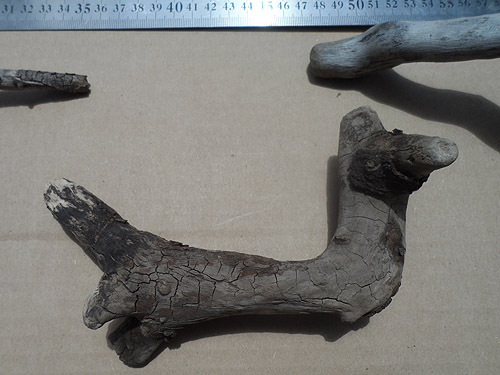 Take note of the 60cm ruler in the photos to get an idea of the length of each piece. 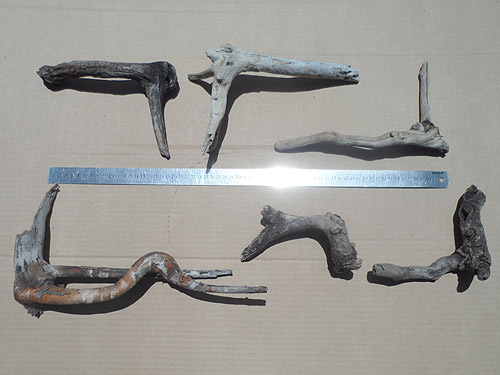 These 6 mostly “L” shaped driftwood pieces are all fairly hard and strong, except perhaps for the piece bottom left of the ruler. 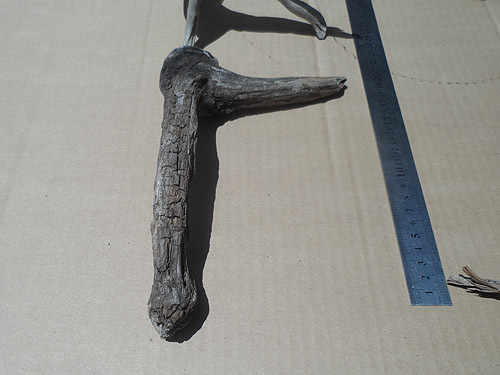 That piece is a little weaker than the rest, but perhaps perfect for use in a floral arrangement (tilt your head to your right). 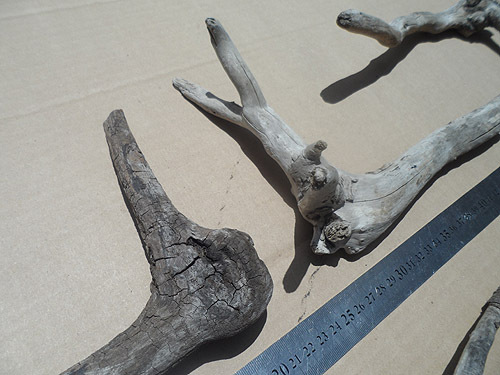 Several photos are shown here of just this ONE driftwood lot 150119C. 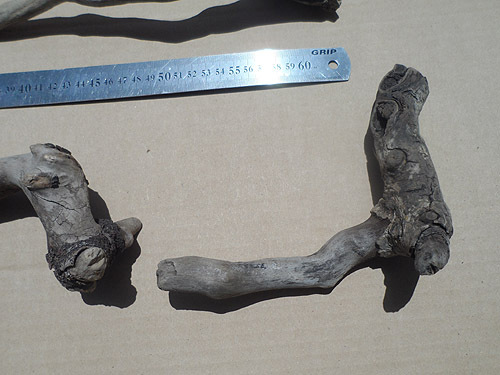 driftwood lot 150119C – rough bottom – the piece bottom right of this photo is the same piece bottom left of the first photo – if using this piece in a floral arrangement then the bottom of this piece would likely be this rough bottom as shown in this photo – which is fine for a floral arrangement as you can just hide that rough bottom in a vase or cover it with plants, flowers or other decor items. 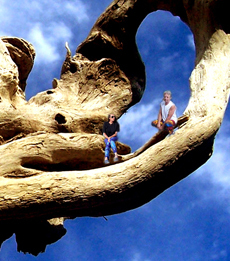 Of course you may have something totally different to floral arrangements in mind for this piece – it’s up to you what you do with it! 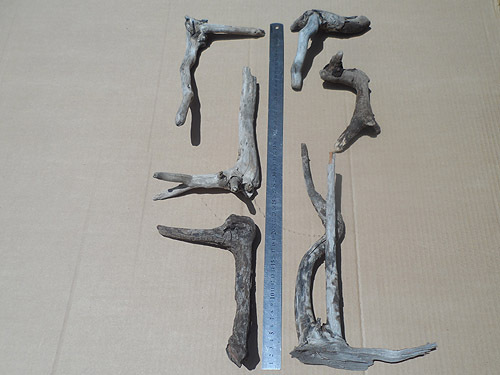 driftwood lot 150119C – vertical – this vertical angle photo may help you decide what you might need these 6 driftwood pieces for – when it comes to driftwood decor or craft projects and you look at driftwood pieces, always imagine driftwood pieces vertically, horizontally, flipped over, turned around, or however you want. 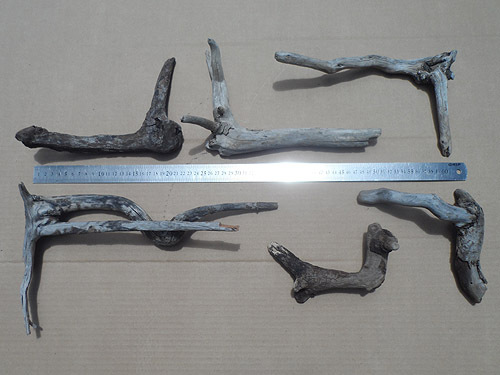 The L shape of these 6 driftwood pieces makes them pieces that could be used in a wide variety of clever driftwood craft or decor projects.